INCIDENTS OF UNAUTHORISED turf cutting have declined this year, while almost 3,800 compensation payments have been made. That is according to Jimmy Deenihan TD, Minister for Arts, Heritage and the Gaeltacht, who updated the Cabinet on progress made so far this year on the issue of turf cutting on protected Special Areas of Conservation (SACs). He told Cabinet that incidents of unauthorised turf cutting on raised SACs bogs this year declined by over 45 per cent compared with 2012. He also said that over 3,800 individual compensation payments have been made since the Cessation of Turf Cutting Compensation Scheme was introduced in 2011. Over €6 million has been paid to affected turf cutters under the scheme, while there have also been 292 deliveries of turf have been made to homes. Deenihan said that 790 turf cutters have indicated that they are interested in relocation. He said that work is ongoing in sourcing relocation sites for these people. The Minister said that he intends to publish a draft National Peatlands Strategy, a draft National Raised Bog SAC Management Plan, and a review of Raised Bog Natural Heritage Areas (NHAs) before the end of 2013. A review of all raised bog Natural Heritage Areas (NHAs) is underway and is “making good progress”. 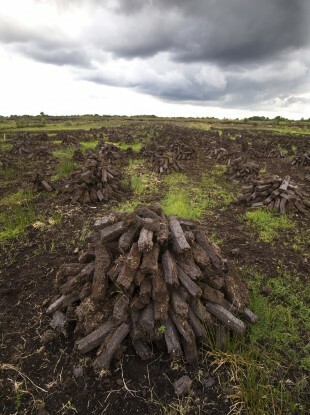 A European Union directive requires that Ireland must ban turf-cutting on certain bogs. The government agreed a compensation scheme with turf cutters, but there have been a number of protests over the issue. In June, turf cutters in Roscommon and Galway cut turf despite the ban, with the PRO for the Turf Cutters and Contractors Association, Deputy Luke ‘Ming’ Flanagan, saying they were vindicating their rights in doing so. Email “Unauthorised turf cutting declined by 45 per cent so far this year”. Feedback on “Unauthorised turf cutting declined by 45 per cent so far this year”.